Once you’re feeding native bees, they also need a place to live. For a lot of native bees, that’s in the ground. Miner bees, sweat bees, squash bees, and more, are solitary bees that dig secret tunnels where they lay their eggs on a time capsule of food. The larvae need a safe place to grow undisturbed so they can develop and emerge the next year and keep the cycle going. Not disturbing the soil means more than not tilling it. It also means saving that lovely compost for the plants that need it and not putting down a heavy layer of mulch everywhere. The bees can’t dig through it; they need access to the surface. Fortunately, they can get through a bit of leaf litter. In spring I often see small brown bees rummaging around. Mostly the signs I see of bees in the earth are lots of little holes arrayed near each other on a bare surface. Ants have one main entrance to the colony. Earthworms hide under the leaves. So I’m pretty sure those are bees’ nests that I’m trying to leave alone, but I wasn’t entirely convinced until I disturbed a miner bee in the dirt this year. They’re really down there! 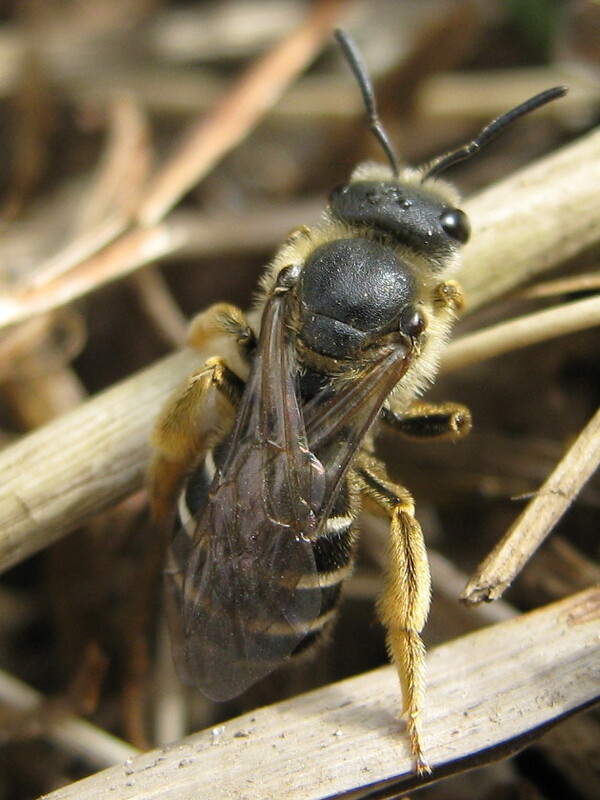 Other native bees, like leafcutters, use woody stems for their nests. 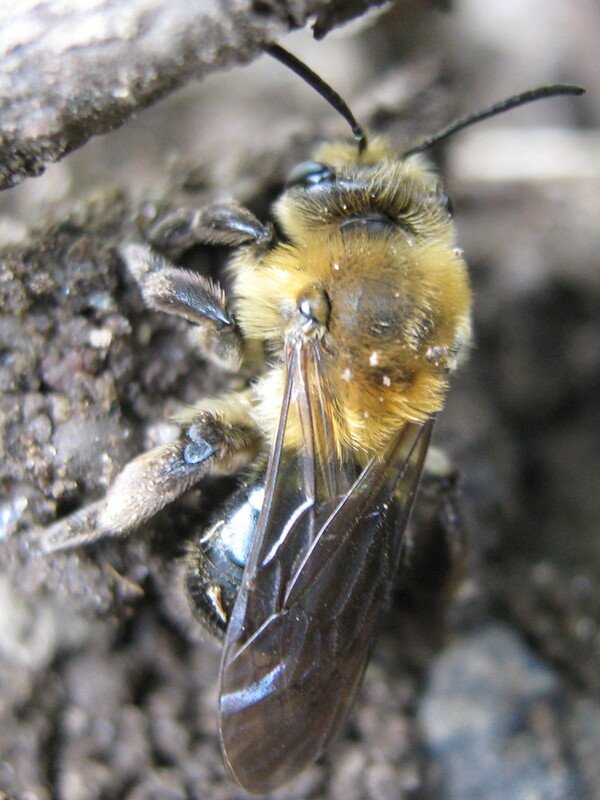 Carpenter bees delve into rotting wood. Bumblebees seek a small dry cavity to build a colony. Dead stems left unpruned over the winter, a woodpile, or simply an undisturbed corner of the yard, might be just what they’re looking for. So let things be and bees will be.